An exhilarating race right through the heart of Zoo Miami. Its eight-kilometer, snaking course isn’t just a bunch of monkey business – it will take you through a lion’s share of the zoo to enjoy scenic views of the animals and their habitats. And serving such a great cause will leave you as proud as a peacock. It’s a run/walk marathon, so feel free to take your time and enjoy the sights. 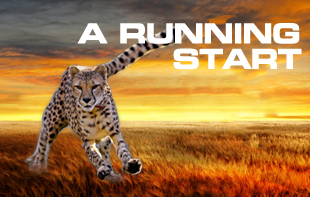 You choose the pace – race ahead of the pack or make it a walk on the wild side. It doesn’t matter if you are more tortoise or hare, there’s plenty of fun to be had by all.